Click on the link and then click the "View Month" button to see a complete calendar. 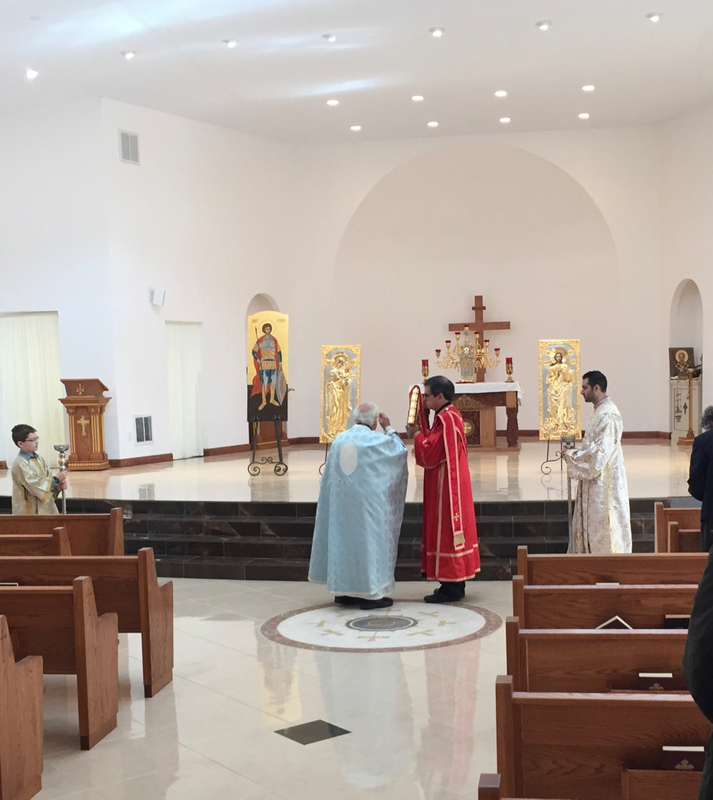 With thanksgiving to God, we officially moved into the church with the first Divine Liturgy being celebrated on Thanksgiving day, November, 2017, and have started to make our new building our home. We have plenty of pictures for you to view on our website but seeing for yourself is even better! On Sundays we celebrate the Matins service at 9:30 a.m.,the Divine Liturgy at 10:30 a.m. Please check our website section "Monthly Calendar" for additional liturgical celebrations. 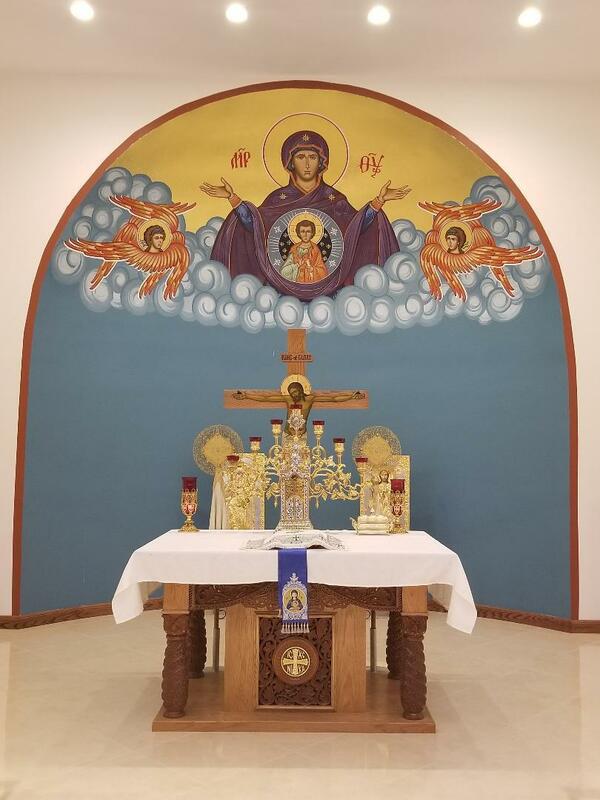 "Proclaiming and celebrating the Gospel of Our Lord Jesus Christ as the One, Holy, Catholic and Apostolic Church"
Welcome to St. George Antiochian Orthodox Church of Bridgeville, Pennsylvania! We are a parish of the Antiochian Orthodox Christian Archdiocese of North America: His Eminence Metropolitan JOSEPH, Primate; His Grace Bishop THOMAS, Bishop of the Diocese of Charleston, Oakland and the Mid-Atlantic.Our parish is dedicated to the spreading of the Gospel of Our Lord Jesus Christ, through the Church He established - the One, Holy, Catholic and Apostolic Church - The Orthodox Christian Church. Our community was formed in 1920 when the first immigrants from Syria, bringing with them their deep love and devotion to the Orthodox Faith, arrived in Bridgeville. A blacksmith shop was purchased and converted to a church, which served the Bridgeville community for approximately 25 years. A small group of dedicated members funded the purchase of a small lot in a residential area where the present facility is located and initiated construction of a new church in 1947. It was completed and dedicated in 1950. Years later, the residential house next door was purchased and now serves as the Educational Center for our Church School. Today, our church has grown to 125 families with a choir who sings in the traditional a capella style of singing, characteristic of Orthodox Christian worship. We invite you to explore the Orthodox Christian Faith and to join us in worship, proclaiming and celebrating the Ancient Christian Faith in our contemporary world. For further information on the Orthodox Christian Church, please contact our pastor, Fr. Jason DelVitto @412.221.2277, email: frjason1@verizon.net. or access our website option "About Orthodoxy." If you have any questions, you can email St. George at info@stgeorgebridgeville.org. Last Parish Photo at 610 Dewey Ave.